Can Women Influence Who Wins or Who Loses the Various Constituencies? Data from the Parliamentary Election Office shows that more females are registered as eligible voters than males, and with a record number of women projected to contest the upcoming general elections, can women influence who wins or who loses the various constituencies? The Platform for Action Report of the Fourth World Conference on Women states quite clearly that women’s equal participation in decision-making is not only a demand for simple justice or democracy but can also be seen as a necessary condition for women’s interests to be taken into account. Without the active participation of women and the incorporation of women’s perspective at all levels of decision-making, the goals of equality, development and peace cannot be achieved. The ruling New National Party (NNP) has named 7 women, while the National Democratic Congress (NDC) has named 3 women as political caretakers. Although the political leaders have indicated that caretakers ‘don’t necessarily mean becoming a candidate,’ the question remains – can these ladies establish a foundation that will see women supporting women? Research conducted within the Caribbean by a UN organisation has shown that women are the majority of voters, but they are not necessarily supporters of an individual and generally vote along party lines. 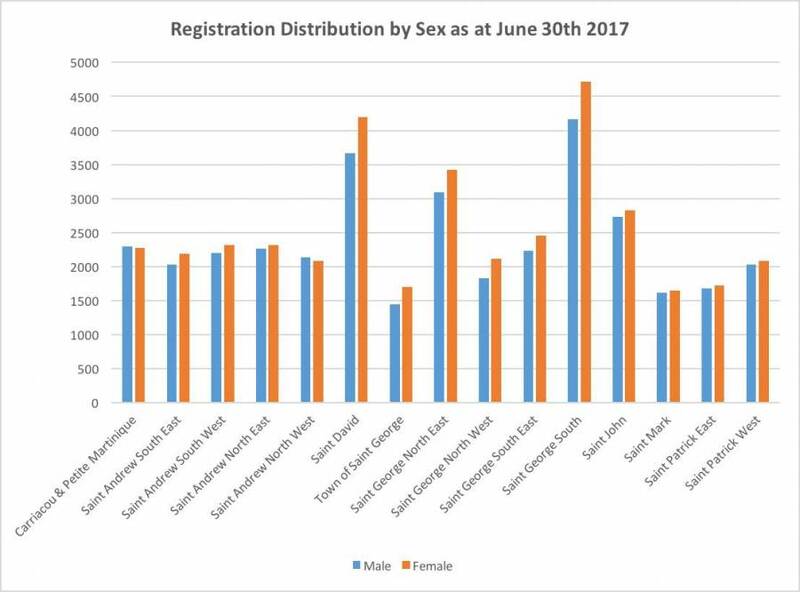 If we are to believe on face value that women will support women for the upcoming general election, then hands down we can conclude already who will be the winners and the losers for the 4 constituencies in St Andrew. However, the big battle ground will be St Patrick East. Of special significance for the upcoming elections are 5 constituencies – in St Patrick East, it will be a woman vs a woman, and they are both newcomers seeking to represent the constituency in the Lower House of Parliament. St Patrick North East is the constituency of former Prime Minister Tillman Thomas who has, since 1984 contested every election. He won and lost it on 3 different general elections. The records are showing that Thomas lost the constituency in 1990 to Grenada United Labour Party’s the late Winston ‘Wintie’ Frederick. In that election, Tillman received 510 votes while the winner received 607. In 1995 Thomas again lost to Adrian ‘Spaceman’ Mitchell. The winner received 686 while the loser received 604 of the vote cast, and in the 1999 general election, he lost again to Mitchell by more than 600 votes. Mitchell received 1,133 of the total votes cast while Thomas received 454. He won that seat in 1984 as an NNP candidate and in 2003 and 2008 as an NDC candidate. The NDC candidate for that constituency is widely expected to be contested by former social worker for the defunct NCH Action Children, Cecelia Ann John, while the NNP named caretaker is Pamela Moses, a retired school principal. In the 2013 general election Thomas who was contesting the seat for the 6th time lost to the NNP newcomer Clifton Paul by more than 200 votes. 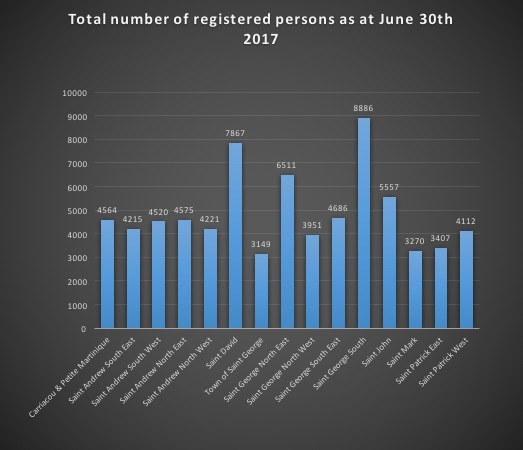 Back then there were 3,011 registered voters. Paul received 1,405 of the total votes while Thomas received 1,277. The NDC slogan ‘Nobody ain’t beating Tilly,’ was very comforting to them because it was felt that as a veteran he knew the rules of winning and losing, and this was his opportunity to come out with the winning formula. However, that assurance slogan did not work as the voters came out and voted overwhelmingly for the NNP newcomer. This is probably a fine example of the idiom ‘new broom sweeps clean.’ The NNP itself had a clean sweep as it won all 15 seats in the House of Representatives. When the NDC won that constituency in the 2008 general election, there were 3,492 voters, and Thomas won by 104 votes having received 1,434 while NNP Carl Caton received 1,330. Now that there are almost the same number of voters registered, how will it play out for the two women who are both newcomers to the world of politics? 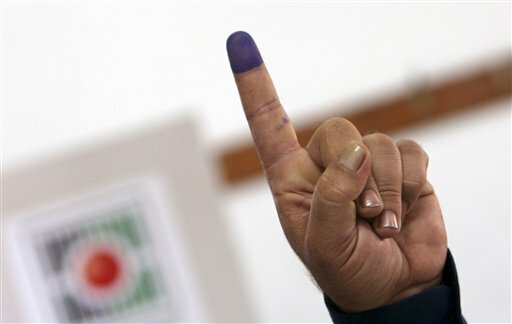 So, whenever the date for the upcoming general election is announced, for the first time Thomas will not be contesting the seat, and for the first time, two newcomers who are both women will be combating to prove whose personality, promises and party captured the ‘finger’ of voters in St Patrick East.